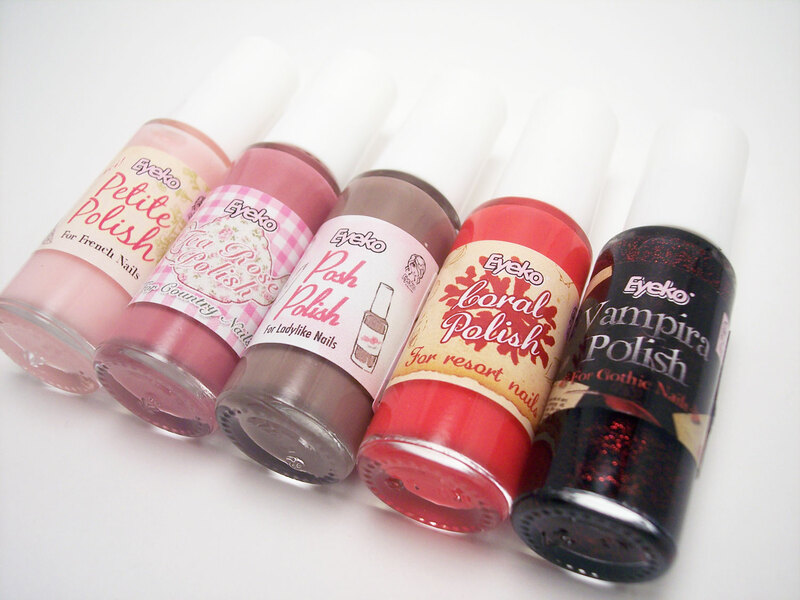 I will be reviewing the rest of these soon. They were sent to me by Eyeko. Vampira is a black jelly base with tiny red glitter. Here I used 2 coats and a coat of Diamont. This applied very smoothly, was not thick at all. I love the glowing embers look on my nails. 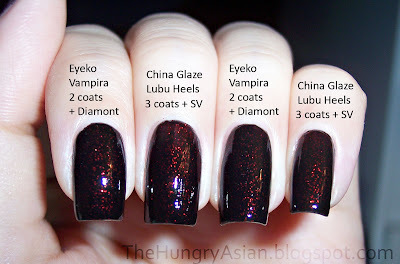 Here is a comparison with China Glaze Lubu Heels. I could have gotten away with only 2 coats of Lubu Heels I think if I was more careful but I had bald spots so I had to do 3. They look completely identical to me, even under the scrutiny of a macro shot. 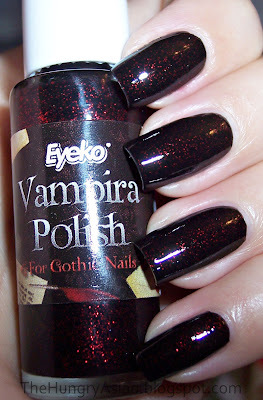 Eyeko Vampira polish has a slightly more opaque black base and was more easy to work with. I will definitely be reaching for Vampira next time I want to wear this look! Curly Hair with 5 bobby pins!